To mark the paperback publication today of Mr Barry’s War. Rebuilding the Houses of Parliament after the great fire of 1834, I interview myself on how it came about. Q. Hello readers. 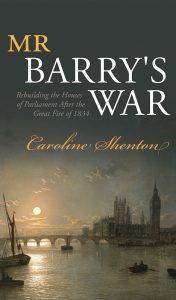 Today we’re with Caroline Shenton to talk about her new book, Mr Barry’s War. Welcome, Caroline! A. Thanks, Caroline, it’s a pleasure to be here [sips a gin and tonic]. Q. To begin with, can you tell us how you came up with the idea for the book? A. Well, perhaps I should confess that it wasn’t originally the book I intended to write. After the success of The Day Parliament Burned Down I wanted to move on from the Palace of Westminster. 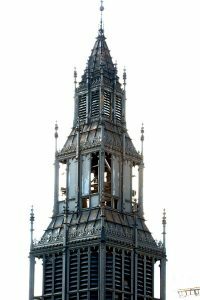 The story of the 19th-century Houses of Parliament had been studied in a lot of depth by others, not least by Michael Port, Alexandra Wedgwood and Rosemary Hill (whose brilliant biography of Pugin had only come out a few years before). I felt there was nothing more to say. Q. What did you want to write about, then? 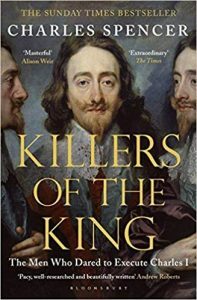 A. I wanted to write about the most famous document in the Parliamentary Archives, the Death Warrant of Charles I. I wanted to tell the story of the 59 regicides – the men who signed it and sent the King to his execution – and what happened to them (and the Warrant itself) afterwards. A. I very nearly did. I had an almost complete proposal ready for my agent to send to publishers and then one day spotted this on Amazon, newly published. It was almost exactly what I had intended to write myself – very frustrating after months of work. To make matters worse, the authors thought the Death Warrant itself was at The National Archives, not the Parliamentary Archives. However it was just as well I didn’t go ahead because a year later up popped this. At least I knew my instincts were right about the appeal of the story! Q. So you returned to the story of the Houses of Parliament after all. Why did you think the book should be written and who did you think it would appeal to? A. Some of the book reviews of The Day Parliament Burned Down hoped a sequel was on the way, as had some reviewers on Amazon. So I bowed to the inevitable. But I had to find a new angle on the rebuilding of Parliament. 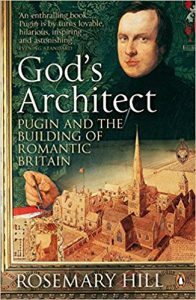 Usually it focussed on Pugin, so I got thinking and wondered why Charles Barry’s side of the tale had disappeared. 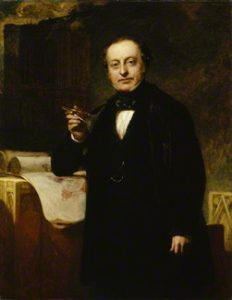 His son Alfred had written a biography after his father’s death but it was deeply flawed, and Barry’s reputation had ever since been coloured by the terrific row that broke out between the Pugin and Barry families after both men’s deaths which echoed right into the 20th century. So my challenge was how to find the real Charles Barry and explain his experience of what it was like to lead the building programme which created the greatest building in Britain. I hoped it would appeal to anyone interested in nineteenth century social history, the history of London and anyone who likes a cracking good read full of colourful eccentric characters. It wasn’t just for people interested in Parliament, though of course there is plenty for them too! Charles Barry by John Prescott Knight, 1851 (National Portrait Gallery, London). Q. Why is it called Mr Barry’s War? It’s not military history. A. I called it that because the entire programme became a vicious war of another kind; a complete nightmare for the architect. Barry was fighting on three fronts – the physical battle against the Thames and the site, which was full of quicksand; his constant battle with politicians and the government over the plans, the design, the money and the timescale; and finally the battle for his own reputation in his lifetime and beyond. Q. So did you draw on your experience of working for Parliament when writing the book? A. Very much so! If your office is in a building a quarter of a mile long with 1100 rooms and 111 staircases, and you have trouble navigating it, then that experience is bound to find its way into any book you are writing about it. Similarly, as Director of the Parliamentary Archives, I was ideally placed to observe Parliamentary machinations at close quarters. Not much has changed in that respect since the 1830s. I once joked to a friend about my first book that aspects of working for Parliament annoyed me so much I had ended up burning the place down in print. In Mr Barry’s War I indirectly vented my frustration at how things get decided (or not) in the Commons and the Lords today. That’s particularly relevant when it comes to considering the future of the Houses of Parliament, as it’s now in dire need of restoration. In modern corporate-speak, if my first book was about change management gone horribly wrong, then this one is about a programme management derailment. Q. What was the hardest thing about writing the book? 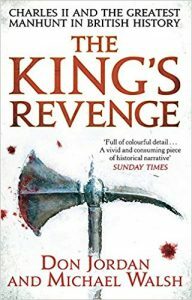 Q. What’s been the best thing that’s happened since the hardback was published? 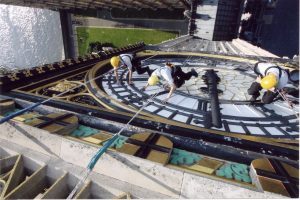 A. I’ve been thrilled that the history recounted in the book has in a small way contributed to the decision to get on with the restoration of the Palace of Westminster, and what is more, to do the ‘full decant’ option . Mr Barry’s War been cited in Parliamentary debates, has found its way into Hansard, and even though (or maybe because) I’ve now left Parliament, I’ve been invited to discuss historical precedents with the Commons’ Public Administration and Constitutional Affairs Committee and the new sponsor board which will oversee the restoration programme. There are lots of lessons to learn from the past. Q. Are you working on another book? A. Yes, I am. I have just finished a proposal for my third book and it’s with my agent now. It’s not about Parliament either. Fingers crossed I won’t get gazumped again. Q. Thank you for answering all these questions, Caroline. A. Thank you, Caroline, my pleasure [undoes mike, sneaks off with gin bottle].